Our R&D team is strong, dedicated and well seasoned. Our engineers pay close attention to every detail in the innovation and production of our products. 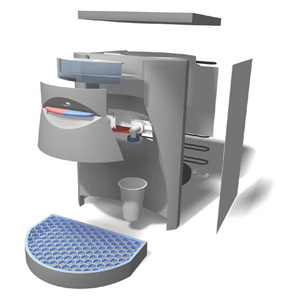 A team of experienced water dispenser development specialists that include industrial designers, cooling technology experts and electrical safety engineers. Creation from market research, 3D CAD solid modeling/rendering, quick structure analysis, Cost engineering, rapid protoping and production evaluation. Typical customers: Mitsui, Asahi, SupportPlus and Nestle. OEM Service: Make our existing water dispensers with customized logo, power (V/Hz), plug, taps or other requirements. ODM Service: Give us your ideas or 3D files. Make your ideas.